Robert Dorfman, emeritus professor of political economy, died June 24 in his home in Belmont after a long illness. He was 85. Dorfman made remarkable theoretical and applied contributions to the field of economics. He was one of the pioneers in linear programming, a method of describing production in terms of activities with fixed coefficients of input and output. “After starting his career as a statistician – his paper ‘The Detection of Defective Members of Large Populations’ (1943) is still a landmark – he turned to economics at the moment when linear models of production and allocation captured the profession’s imagination,” said collaborator and Nobel laureate Robert M. Solow, who co-authored with Dorfman and economist Paul A. Samuelson the groundbreaking work “Linear Programming and Economic Analysis” (1958). Dorfman’s textbook, “Application of Linear Programming to the Theory of the Firm” (1951), which Solow describes as “compact and crystal clear,” set forth business applications for these theoretical approaches. Dorfman also made significant contributions to environmental economics, especially regarding natural resources in the Middle East and South Asia. His analysis of water resources in Pakistan, for instance, drew on collaborations with engineers and hydrologists to arrive at a deeper understanding of the conservation and distribution of scarce resources. Later in his career, Dorfman turned his attention to economic history, focusing on the theory of capital and its antecedents; his work in this area led to a modernization of economist Eugen Bohm-Bawerk’s definitive 19th century “Austrian” theory of capital. Dorfman’s career at Harvard spanned 32 years. Professor of economics from 1955 to 1972, Dorfman became the David A. Wells Professor of Political Economy in 1972, a position he held until his retirement in 1987. Born Oct. 27, 1916, in New York City, Dorfman received his B.A. in mathematical statistics from Columbia College, N.Y., in 1936. The following year, he received his M.A. in economics from Columbia University. A statistician for the federal government from 1939 to 1943, Dorfman also served during World War II as an operations analyst for the U.S. Army Air Force, based in the Southwest Pacific theater and Washington, D.C. Enrolling at the University of California, Berkeley, in 1946, Dorfman earned his Ph.D. in economics in 1950, and held the position of associate professor in economics until 1955, when he moved to Harvard. Dorfman, according to his wife, Nancy, turned to mathematics in college as the closest substitute for poetry, after concluding that he did not have a future as a poet. His lifelong love of poetry and literature was reflected in the clarity and grace with which he was able to explain complex economics in simple language, widely remarked upon by his colleagues. Author of numerous books and articles, Dorfman’s major publications include “Design of Water Resource Systems” (1962), co-authored with Arthur Maass, Maynard Hufschmidt, and others; “Prices and Markets” (1967); “Models for Managing Water Quality” (1972), co-authored with H.D. Jacoby and H.A. Thomas Jr.; “Economics of the Environment” (1972), co-authored with Nancy S. Dorfman; and “Economic Theory and Public Decisions” (1997). 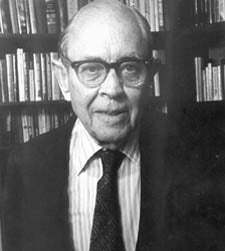 In spite of his achievements in mathematical economics, Dorfman had long-held personal reservations about the need to “reduce the amount of instruction in the social science side of economics to make way for mathematics,” as he said in the preface to his collected works, “Economic Theory and Public Decisions” (1997). He remained ambivalent about the costs and benefits of the change, while recognizing its inevitability. Dorfman received many honors, including a Guggenheim Fellowship and two Ford Faculty Research Fellowships; he was named a Distinguished Fellow of the American Economic Association and a Fellow of the American Academy of Arts and Sciences. From 1976 to 1984, he served as editor of the Quarterly Journal of Economics. During his long and wide-ranging career, Dorfman was vice president of the American Economic Association, vice president of the Association of Environmental and Resource Economists, and member of several committees focused on environmental concerns. He chaired the National Research Council’s Committee on Prototype Analysis of Pesticides in 1978. Dorfman is survived by his wife, Nancy, of Belmont; his son Peter, also of Belmont; his daughter Ann; and granddaughter Joni Waldron, and grandson Loren Waldron, of Newton. Funeral arrangements are private. Harvard University plans to hold a memorial service in the fall. Contributions in memory of Robert Dorfman may be sent to Oxfam America.